Honestly delicious. Naturally skinny. Insist on really delicious soup. 1 of your 5 a day per 300g. Low in fat. No added sugar - contains naturally occurring sugars. I'm gluten free. Vegetarian. 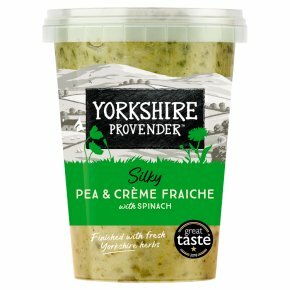 The sweetness of peas and tang of spinach leaves are beautifully balanced with just a dash of cream and fresh mints.